Pack a lunch, snack provided. Bring a swimsuit, shorts and sandals for non-riding time. After Camp care available for added fee. 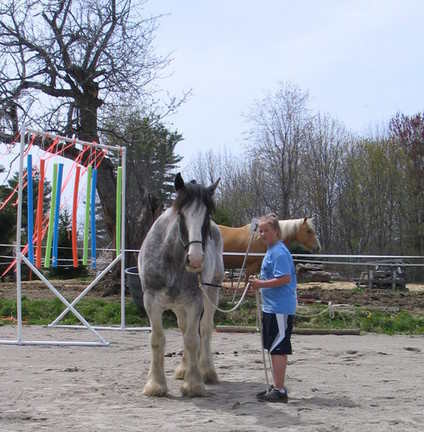 Summer Camps are a short immersion program for students (adults too) to learn all aspects of proper preparation and horse care. Students learn about the amount of work it is taking care of horses, enjoying them, and becoming a life long responsible learner. Working on introducing riders of all abilities to the challenges, responsibilities, and joys of caring for and riding horses. 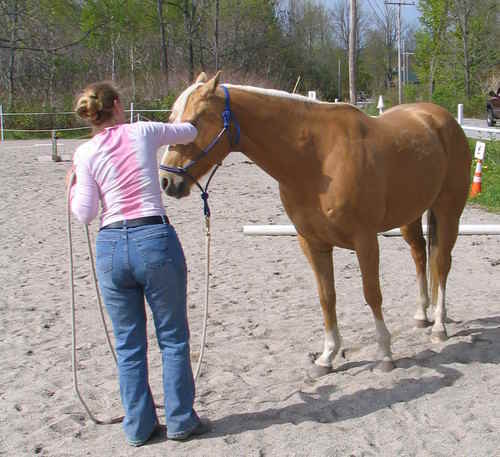 Focus on the Seven Games, safe horsemanship practices, conformation, gaits, proper tack fitting, and trail. Designed to challenge and improve riding/communication skills while increasing self confidence. Games, patterns, and obstacles are taken to a higher level of completion by using longer lines, round pen, and multiple horses.Ground work and riding continues to combine all skills with multiple horses. Trails are included and work with trotting for longer periods of time, possibly swimming with the horses too! Designed to challenge and improve riding/communication skills while increasing self confidence. Games, patte rns, and obstacles are taken again to a higher level of completion by even longer lines, no lines, multiple horses, and riding while working another horse. Trails are included and longer incorperating trotting and cantering. Ok! So all you adults that have kids with horses or have wanted to have a horse, or you have a horse but would like to learn more now is your time! 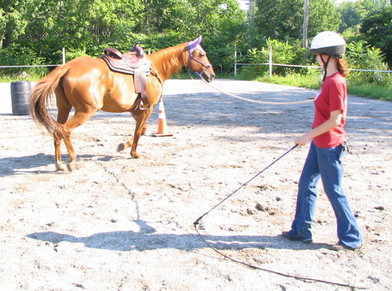 This camp is specially designed to familiarize yourself with all aspects of owning horses. Topics covered are: nutrition, housing, fencing, laws, trailering, insurance, diseases, and preventative medicine. Also you will be riding, driving, and trailering horses. Even if you already own a horse here you can expand your knowledge and keep moving forward. Space is limited, so please put your deposit down today! Discount if you bring your own horse. 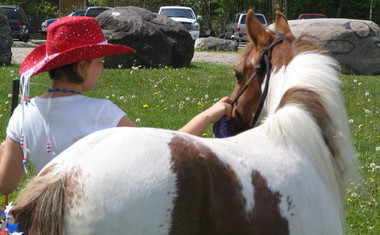 Explore the Maine Wilderness by horseback!! Several day trips around the local area. Must have access to a trailer to transport own horses! Pack a lunch and lets go! Must be able to canter or lope, & fit to ride for 2+ hrs.